The three-time champ is now one step away from winning his fourth title. 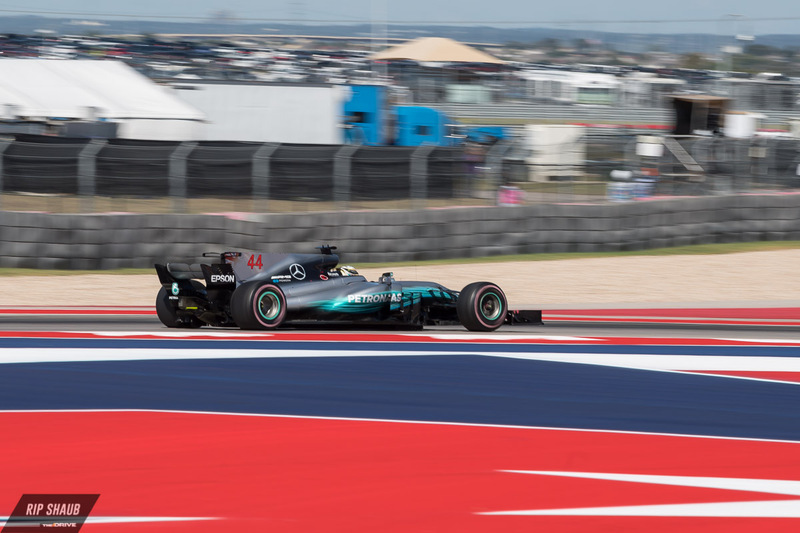 Lewis Hamilton completed the sweep of this race weekend in Austin, Texas by winning the United States Grand Prix on Sunday. Showing up and coming out hot in practice, the Mercedes-AMG star was able to put the rest of the grid on note by being the fastest in FP1, FP2, FP3, and qualifying. 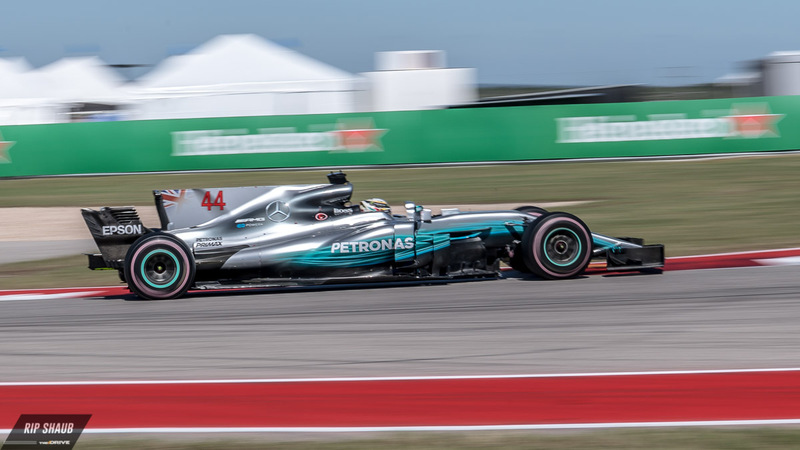 His pole position set him up well for a battle with Ferrari's Sebastian Vettel, leading to a race-long fight that ended in Hamilton winning the sixth USGP of his career. Unique festivities celebrated Formula 1's only visit to the States as legendary sports announcer Michael Buffer introduced the drivers. A bit of pantomime and panache helped to kick off the event with Lewis Hamilton being treated to a star's welcome, initiating the crowd to what was expected to be a lights-out title bout between the Brit and four-time world champion Vettel. Vettel zoomed to the front at the start going into turn one, holding the lead until Hamilton eventually reclaimed it. A back and forth race at the top kept things interesting from the start with Raikkonen and Bottas joining in on the fun as the contest went on. Vettel took the lead into turn one, keeping first place for the first six laps before being overpowered by Hamilton. P4 starter Daniel Ricciardo was in the mix as well until a blown engine forced him to retire before getting a real shot at the race win. 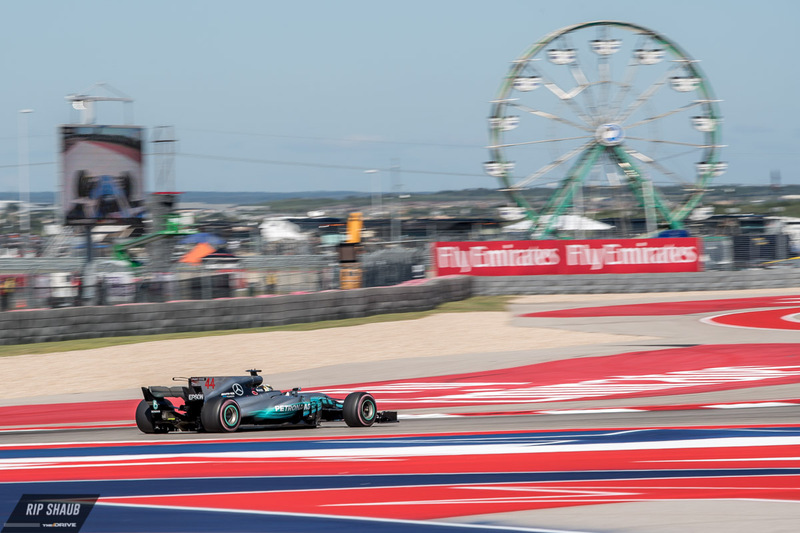 However, the number one spot came down to Hamilton and Vettel who both returned to their prior form to give the American crowd the show they wanted. "It's the greatest feeling in the world," Hamilton said when interviewed on the podium. "I was not expecting to have the pace on Sebastian today...the car felt fantastic." 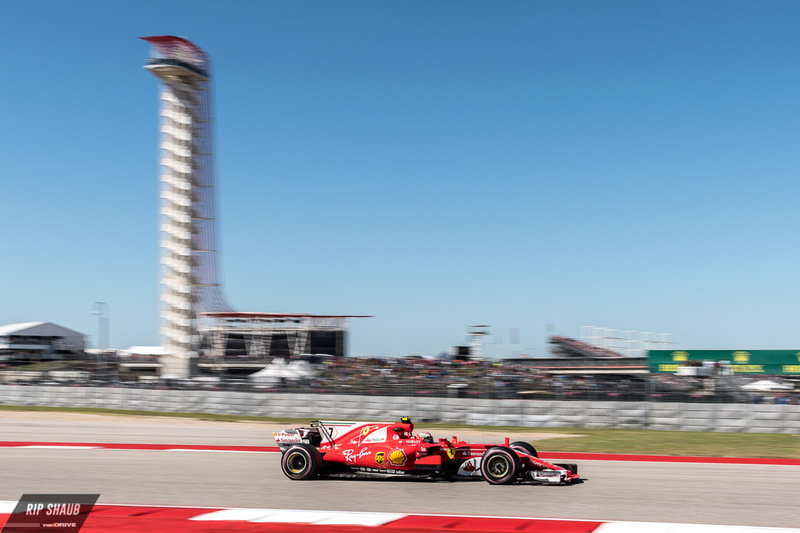 Vettel's second place effort kept Hamilton from taking the Drivers' Title in Austin. Vettel admitted that although America was his best race of the last four, he and the Ferrari team still didn't have what it took to overtake Lewis. "We couldn't go at (Hamilton's) pace today," Vettel said. "We were a bit in no-man's land. Towards the end we tried to pit again and put on a fresh set of tires, but overall not the result we wanted. "There was no real secret other than they were quicker than us. Whoever is fastest usually has the best chance of winning." As it seemed, it truly was Hamilton's race to lose as he continued his superb performance from past years in America. Max Verstappen showed promise as well, gnawing away at the grid and seemingly claiming third place after starting in P16. Grid penalties knocked him back off of his 6th place qualifying efforts, putting him at a disadvantage in the beginning. He was third fastest at the end of the race, but as he drove all four wheels off the track in a passing maneuver, he was handed a five-second penalty. 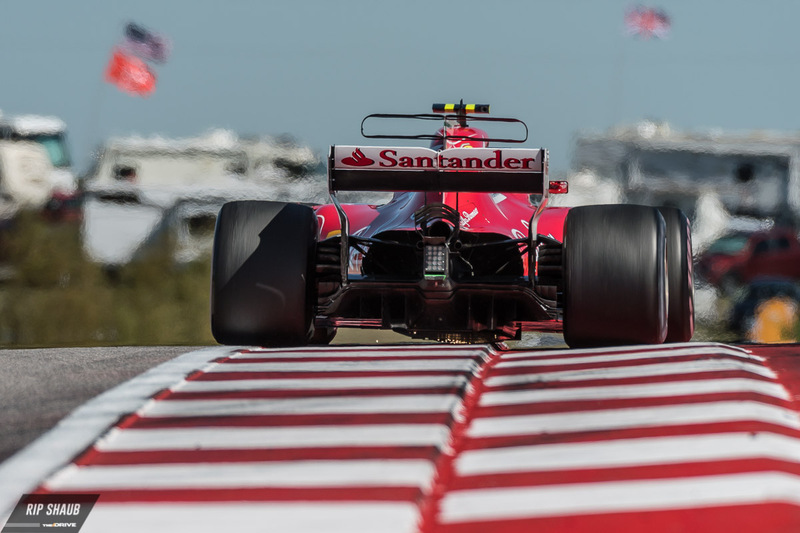 This conclusively put him behind Ferrari's Kimi Raikkonen and did away with his spot on the podium at COTA, hindering him from continuing his previous hot streak. Hamilton's Mercedes teammate Valtteri Bottas finished in fifth position, clinching the Constructors' Title for the Silver Arrow team. This is the fourth consecutive championship for the crew, and with three races still to go, expect Benz to work on widening the already healthy gap of 147 points between it and Ferrari. Formula 1 now takes off to Mexico where Hamilton only needs to finish in fifth place or better to win the Drivers' Championship. The Mercedes' ace completes the pre-race sweep and breaks his own lap record in qualifying. This weekend is shaping up to be a good one in the Lone Star State. The 32-year old Brit gives his take on the American controversy.